West Virginia vs. EPA: What about climate change? July 31, 2013 by Ken Ward Jr. 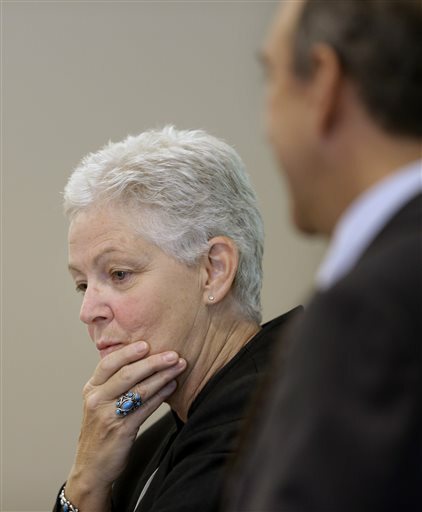 It was billed as big news yesterday, when the new Obama administration EPA administrator — Gina McCarthy — delivered her first public speech since being confirmed and sworn in. But was there really anything surprising in what she had to say, at least regarding coal and climate change? The new head of the Environmental Protection Agency told an audience at Harvard Law School on Tuesday that cutting carbon pollution will “feed the economic agenda of this country” and vowed to work with industry leaders on shaping policies aimed at curbing global warming. Speaking to an enthusiastic crowd at Harvard Law School — which included friends from McCarthy’s years as a top state environmental official under Mitt Romney and other governors — the Massachusetts native known for her blunt talk and pronounced Boston accent also said it was time to dispel the myth that environmental regulation hurts the economy. I completely agree with Ms. McCarthy that clean energy technology will spur economic growth. Clean coal technology already is being used and it’s having a direct impact on our environment and our economy. In the last ten years, U.S. coal emissions have been reduced by 50 percent and coal-fired electric plants are expected to spend at least $80 billion by 2015 on new technologies to further reduce emissions. These investments would have an even greater impact on our economy and environment if we had a partner instead of an adversary in the federal government. Our own Energy Department says coal will generate nearly 36 percent of our electricity through 2040, so it just makes common sense to me, the people of West Virginia and the American people that, while we invest in renewable and biofuel technology, we also invest in making our most abundant natural resources cleaner. House Speaker Tim Miley, state Democratic Party Chairman Larry Puccio and others in the delegation believe it is significant that they will get face time with the new head of the EPA. Such a meeting would have been unthinkable with McCarthy’s predecessor, Lisa Jackson. McCarthy deserves credit for granting an audience with what she knows will be a hostile crowd because of the agency’s increased regulatory pressure on the coal industry. Then again, McCarthy, a straight-talking Bostonian, might just give our folks an earful herself. Lisa Jackson may have been the poster child for the regulatory rigor of the EPA, but it was actually Gina McCarthy who handled most of the legwork as head of the agency’s air and radiation office. And it’s McCarthy who has been chosen to carry out President Obama’s precept to use the considerable power of the federal government to deal with climate change by fiat. The most significant step is the planned limiting of emissions that will make it impossible to build coal-fired power plants in the future, while phasing out existing plants. The career campaign consultants are doing their best to ensure that no West Virginian who wants to run for office of otherwise try to lead is allowed to admit the downsides of coal, whether they be deaths from explosions or black lung, polluted streams or sick people from mountaintop removal, or — most of all, a heated-up planet from global warming pollution. Of the seven lawmakers who attended a ceremony this month renaming Environmental Protection Agency headquarters after former President Bill Clinton, West Virginia Democrat Nick Rahall certainly stood out. The 19-term congressman is not a fan of the agency. “I’m not, and that’s why I went there to talk directly to Gina McCarthy, and I had my chance,” Rahall told POLITICO. The topic was EPA’s handling of coal permits, and the congressman was blunt with McCarthy. “I said a lot of our coal people feel that after negotiating with your people, and they agree on most everything if not everything you want, and then you move the goal posts on them and make it harder for them to negotiate with you,” Rahall said. And he huddled with Clinton, too. 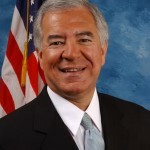 Of course, Rep. Rahall would have more credibility with EPA if he ever admitted up front the serious damage that mountaintop removal is doing to the environment — not to mention the serious questions about its impact on public health — and came up with some proposals for trying to reduce that damage, instead of signing onto every Republican bill he sees to strip EPA of its Clean Water Act authority over coal mining. The need for West Virginia leaders to fess up on climate change is an even bigger problem, given the silly denials of science that are common among candidates and elected officials. The transformation towards a low-carbon energy system will inevitably require major changes in how energy is produced and consumed. For example, traditional coal-fired power plants (without CCS) will be some of the first technologies to be abandoned, given that coal has the highest carbon intensity of all conventional fossil fuels. As coal plants typically have very long lifetimes (approximately 50 years), early retirement of existing coal power infrastructure is a real possibility. We find that although the timing of this premature retirement differs depending on which 2020 GHG emission level is achieved, the total amount of premature-shutdown capacity by the end of the 2020s does not differ markedly. The total global installed coal-fired power capacity in 2010 in our model is about 1,400 GW. We find that either about 65% of existing coal plants are retired by 2020 and almost none afterwards, or only 5% of the fleet is retired by 2020 but 55% in the following decade. The rapid application of carbon capture and storage is a much heralded means to tackle emissions from both existing and future sources. However, despite extensive and successful research and development, progress in deploying carbon capture and storage has stalled. No fossil-fuel power plants, the greatest source of CO2 emissions, are using carbon capture and storage, and publicly supported demonstration programmes are struggling to deliver actual projects. Yet, carbon capture and storage remains a core component of national and global emissions-reduction scenarios. Governments have to either increase commitment to carbon capture and storage through much more active market support and emissions regulation, or accept its failure and recognize that continued expansion of power generation from burning fossil fuels is a severe threat to attaining objectives in mitigating climate change. I refuse to call the WV congressional delegation “MY representatives,” because they represent King Coal as their higher priority. As for Cong. 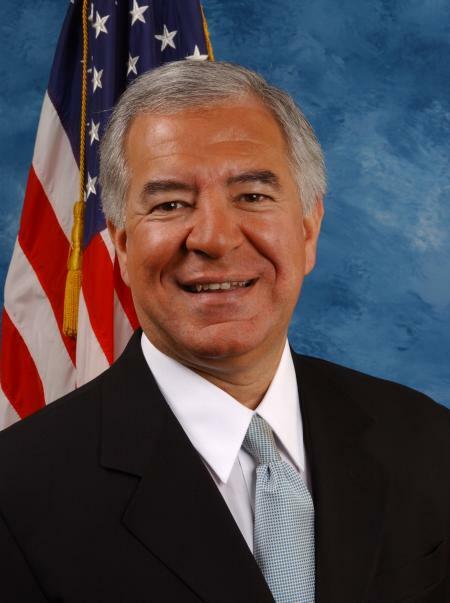 Rahall,who has been in office 35 years or so, his district is dead last (double entendre) in the USA in the Gallup/Healthways “Well-Being Index.” Maybe it’s time to get off the coal train, congressman.